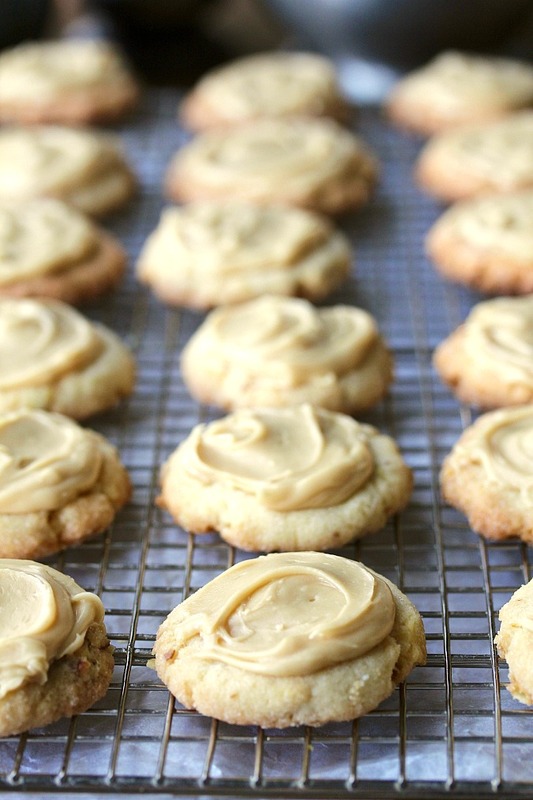 I adore the salty sweet flavors of these Pretzel and Potato Chip Cookies with Butterscotch Frosting. 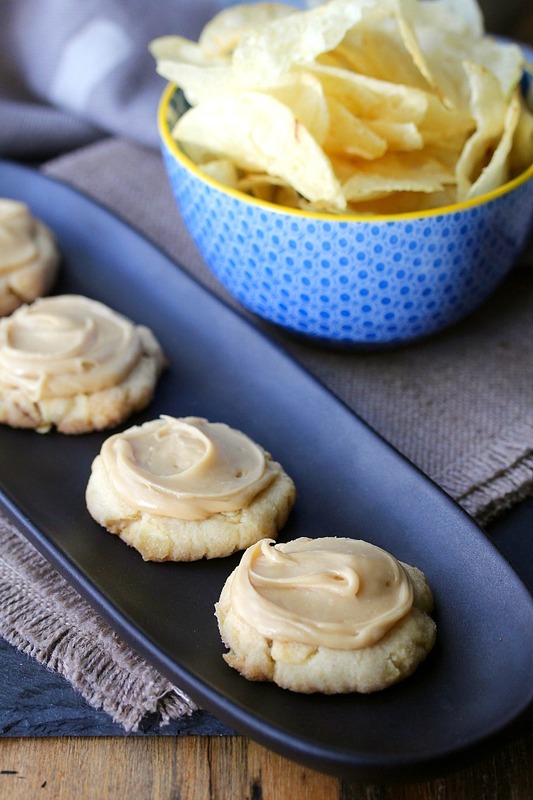 These cookies are loaded with crushed pretzels and potato chips, and the frosting on top has a delicious butterscotch flavor. 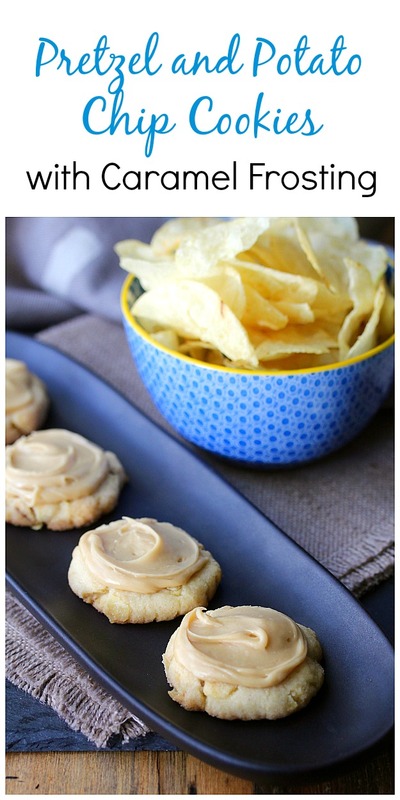 These pretzel and potato chip cookies are a vanilla butter cookie loaded with crumbled potato chips and mini pretzels. They are crispy and crumbly, like a shortbread cookie, but slightly more crispy. 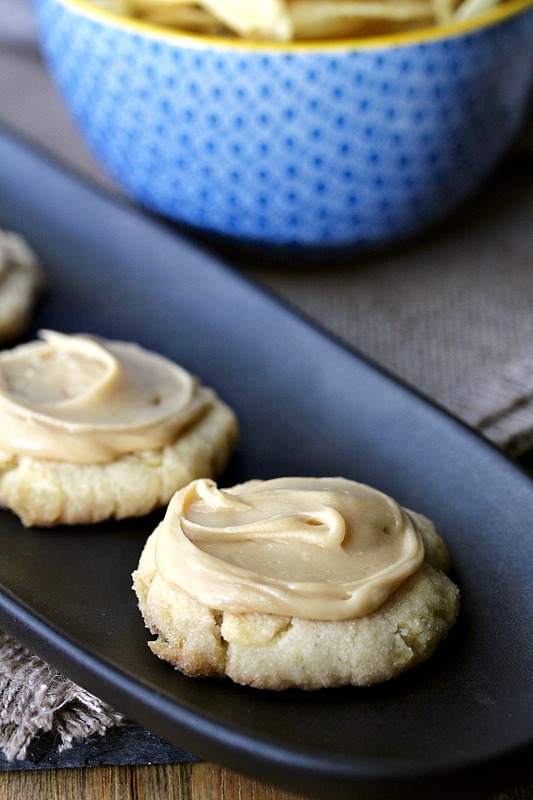 The butterscotch flavored frosting contrasts beautifully with the salty snack-filled cookie. I usually bake sweets on the weekends. I save some for my husband, my kids, my grandkids, and I usually take about half of the batch to work to share with colleagues. This was my original intention with these cookies, but once my family tried these, there was no way they would let me take any to work. I admit it. I love it when someone, especially one of my beloved grandkids, takes a bite of my food and I can see on their face that they are really happy. I feel like Sally Field getting the Academy Award. 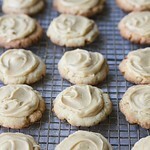 The butterscotch frosting on these cookies firms up really nicely, making these cookies great for lunch boxes. Right after spreading the frosting on the cookies, you could sprinkle it with a bit of flaked sea salt if you like. Note: This recipe calls for crushed pretzels and potato chips. Do not pulverize them. Instead, just stick them in a plastic bag, and give them a few squeezes with your fingers, so that you have 1/4 inch to 1/2 inch chunks. The pieces will break up more when you mix them into the dough, as well as when you flatten the cookies before baking. After the recipe, be sure to check out more recipes, sweet and savory, with potato chips! Preheat the oven to 350 degrees F, with a rack positioned in the middle, and line two half sheet pans with parchment paper. In the bowl of a stand mixer, fitted with the paddle attachment, beat the butter, 1/2 cup of the granulated sugar, vanilla, and salt, on medium high until fluffy and pale, approximately three minutes. With the mixer on low, add the flour in three additions, mixing until it is just incorporated. Add the potato chips and pretzels, and mix on low for about 10 to 15 seconds. Complete mixing with a spatula if necessary. Place the rest of the granulated sugar (1/4 cup) on a plate. Divide the dough into 24 equal pieces, and roll them into balls. Roll the balls in the sugar and place them on the two baking sheets, two inches apart. Spray the bottom of a drinking glass with spray oil, and use it to press the dough balls down to a thickness of about 1/4 inch. Bake the cookies, one sheet at a time, for about 15 minutes, until the edges are barely browned. Cool the cookies on a wire rack completely before frosting. In a medium saucepan, bring the brown sugar, cream, butter, and salt to a boil over medium heat. Remove the pan from the heat, and and stir in the vanilla. Transfer the ingredients to a bowl and let the mixture cool completely, about 20 minutes. Whisk in the powdered sugar, and spread about a teaspoon of the frosting on each cookie. Let the frosting set for about 30 minutes. Store the cookies in an airtight container for up to 3 days. 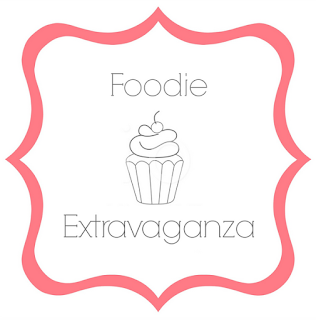 This month's Foodie Extravaganza theme is Potato Chips. Did you know that March 14 is National Potato Chip Day? In anticipation, we have a collection of recipes to honor the day. Great minds Karen. I was so surprised how well the addition of chips worked in cookies. My family loved them as well. Thanks for hosting this month. I love that expression "trash it up!" I'm stealing it! Thanks! The only think I can of to say is 'Wow'! And 'wow' again. Karen. I can't wait to try this recipe. Thanks Cam! You'll love them. That frosting is amazing! 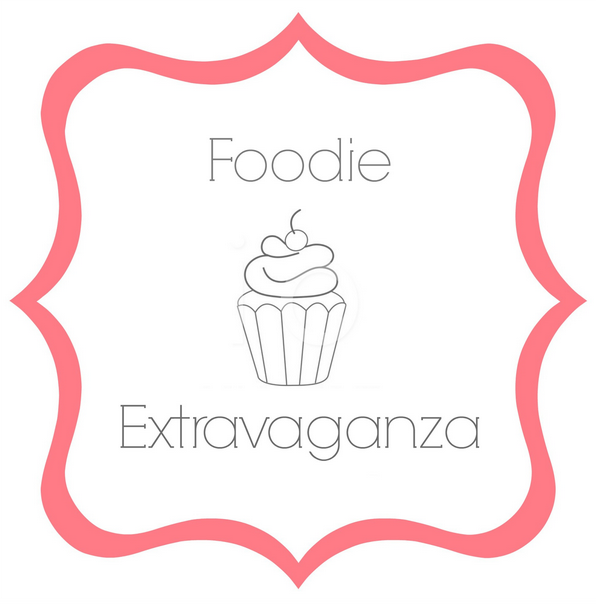 I loved the chips in the cookies and I have to agree- when you get the kids loving your food, it's like a standing ovation! Love that. Isn't it? Always puts a big smile in my heart. I am very intrigued by these cookies... salty and sweet is such a wonderful combination! Ha ha. I remember the Flying Nun! I am sure that these would disappear very quickly in your break room. Oh, Karen!! This is such a delightful sounding cookie! I love the frosting. I cannot wait to make these. Great recipe Karen, these cookies are so addictive, I am sure these must have vanished in jiffy.